is the cleaning method, where the abrasive is fed to the surface to be cleaned in parallel with a jet of compressed air. Dry sandblasting is used to clean different metal surfaces. With dry sandblasting our company cleans metal from dirt and old paint, oil and fuel tanks and ships. Pressure washing is used to remove dirt from the different surfaces. This method is fast and environmentally friendly, as it provides minimum remnant. Pressure washing is used in cleaning of sculptures, monuments, facades, roads. Pressure washing is also used in washing after fire and in graffiti removal. Fuel tanks are usually cleaned with dry sandblasting method. Dry sandblasting removes dirt and corrosion. Fireproof works are used to slow down metal heating in fire. It keeps metal structures in safe condition for a certain time. The main method of fireproof works is painting of metal with special fire-protective coatings. Gel fireplace consist of two parts, metal box and classic linen. The working process of ventless fireplace is very easy. For the fire is used special gel fuel, which is in special cans. This cans are placed behind the decorative wood and fired up with lighter or friction match. One can burns up to 3 hours. The biggest advantage of ventless fireplace is that there is no needs in smoking pipe, as it does not provide any toxic. Fireplace gel fuel consist of isopropyl alcohol and additives, which makes the flame crackling and bigger. One can of gel fuel burns up to 3 hours. This product is environmentaly friendly and safe. Estalder LTD. was established in 1998 as company, which specialized in fire protection and painting of steel and wood. Over the years number of services increased and the company added sandblasting and high pressure washing operations. Company uses modern equipment and technology. Our employees are specialists of their field and proficient in safe working. 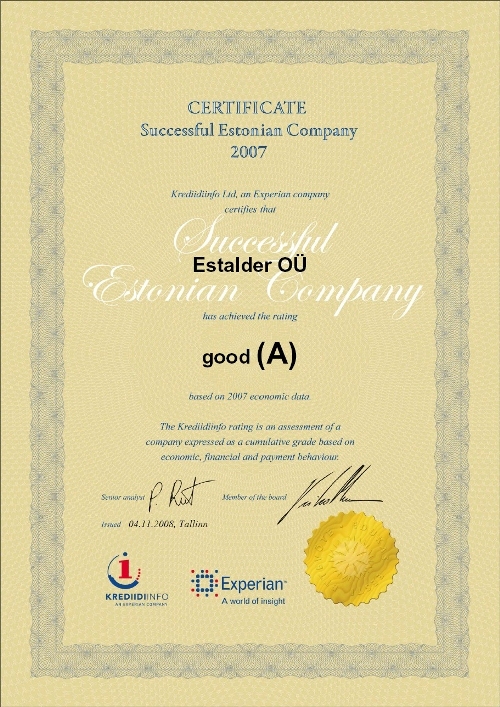 Over the years Estalder Ltd. acquired the status of a stable and reliable partner in its sector.